Garmin and Strava have joined forces to create live enhancements to the GPS giant's new range of smart cycling devices. The Garmin Edge 520 will feature Strava Live Segments, which enables you to pit yourself against other cyclists or runners using the sport app's database of timings. It means Garmin users will be able to see historic fastest sectors in real time, meaning you can turn your regular commute into a veritable Tour De France, smashing multiple records on your route. As well as getting instantaneous data, you can gauge your current performance, personal records and the top times – which will no doubt depress mere mortals. 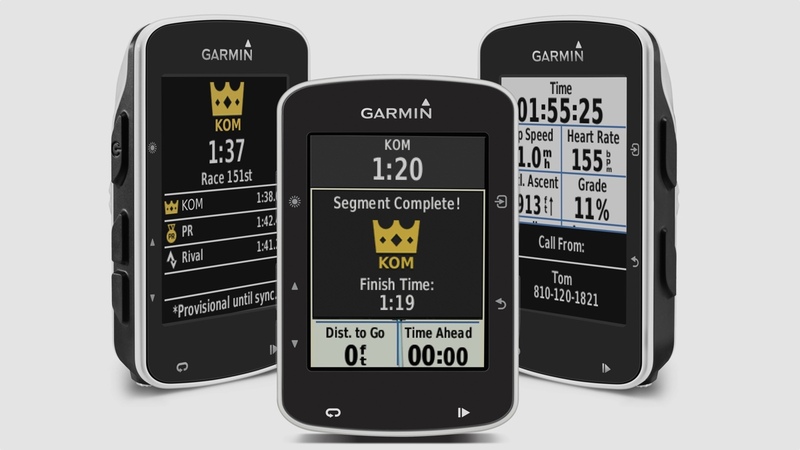 To take advantage you'll have to own a Garmin Edge 520 and take out a premium subscription to Strava which costs $39.99. "Our job is to motivate athletes, and we've learned that making it easy to compare and compete is a powerful tool for motivation," said Aaron Forth, Strava's chief product officer. "This integration will be a game-changer for many athletes and marks the beginning of an exciting new way to experience Strava during a ride." It's an interesting if slightly limiting addition to the Garmin product line-up – but one we hope is a statement of intent. Garmin Connect is a good platform, but integration with Strava's premium services would be a huge addition. There are already workarounds to get your Garmin data into Strava, but this is a step further to closer integration. We'd love to see similar additions work on the Forerunner and Fenix watches, so we can start setting records on two feet as well as two wheels.